The Echo dresser by Kalon is the perfect complement to the beds from the Echo series. They have the distinctive base made of solid maple in common and the simple and elegant design in sustainable production. Echo is a dresser for the modern home, for the bedroom, children's room, the guest room - simply for every room. The integrated drawer handles give a modern and dynamic look, which is typical of the whole Echo Collection. 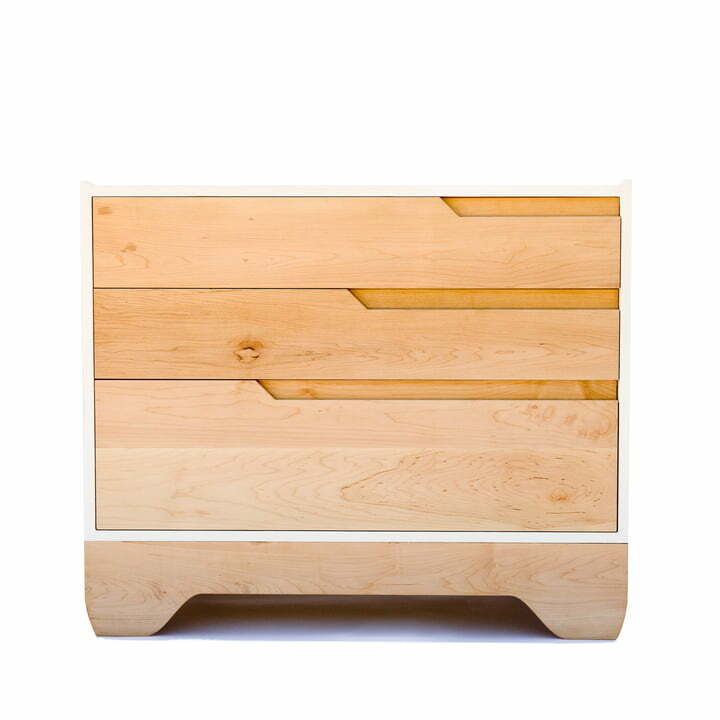 The dresser's body is made of birch plywood and has three drawers that offer plenty of space. Single image of the Echo dresser by Kalon made from maple. The integrated drawer handles give a modern and dynamic look, which is typical of the whole Echo Collection. Single image of the Echo dresser by Kalon made from maple. 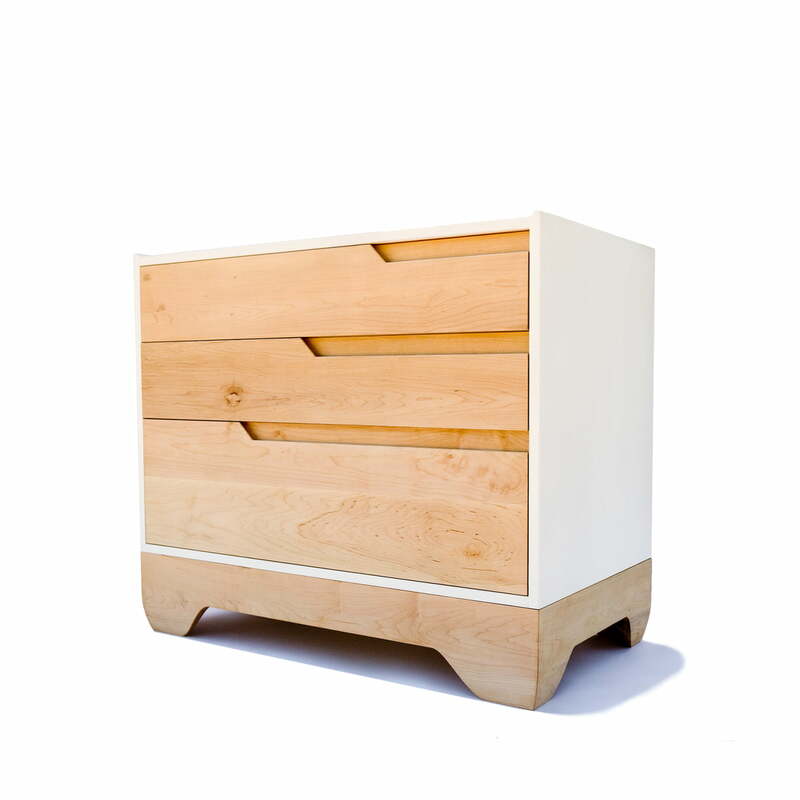 The dresser’s body is made of birch plywood in white and has three drawers that offer plenty of space. 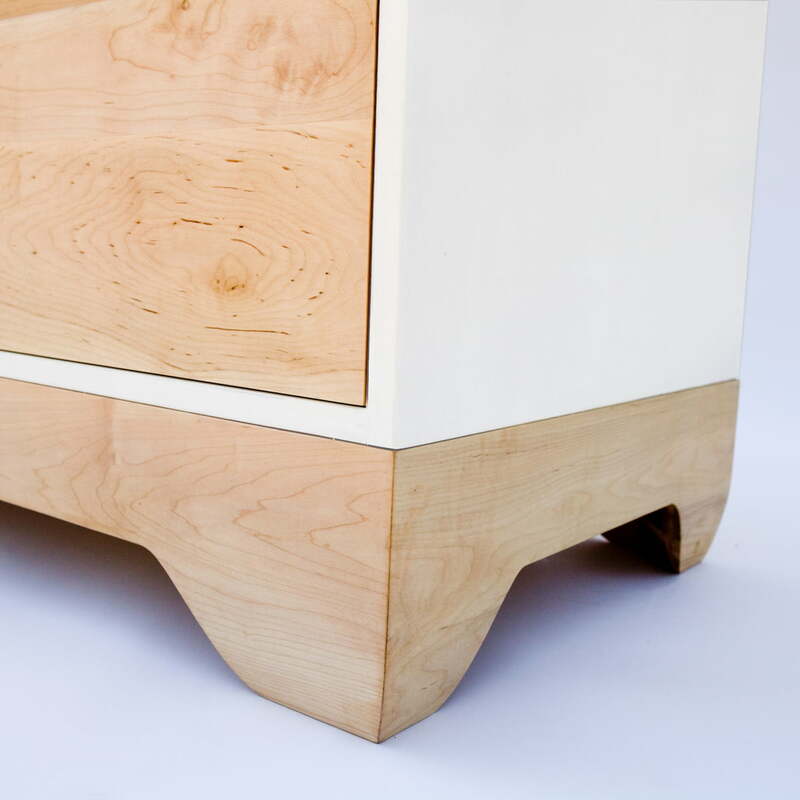 Detail view of the base made of solid maple of the chest of drawers Echo by Kalon. The base is the characteristic feature of the same bed series Echo of Kalon. The furniture in the Echo Collection by Kalon is made from 100% solid FSC-certified maple and lacquered with water-based paint. The clear lines create a sculpture with a liquid shape. Objects that are made with a passion for detail, confidently assume a place in your room while simultaneously seamlessly becoming part of it.